Last week I was working with one client from Bulgaria and I didn’t check whether PayPal works for them or not. I completed the agreed work and sent the invoice for payment. But received shocking news that PayPal doesn’t work there and he told me he can do payment through Perfect Money. This was the first time I heard about Perfect Money. I calmly asked my client whether he can choose any other option or list the options available for payment and he listed few as below and the interesting thing was, I was not having an account with any of those. Then I requested him for some time and he was fair enough to accept that. Then I started searching for the methods as how I can receive payment through perfect money? I posted this query on Facebook and one gentleman helped me and he explained the process and yeah, sent me his affiliate link for signup so that he can receive some affiliate commission (this is a good idea). Although client gave 3-4 network to get the payment but Perfect Money seemed to best among all and I finally went with them and completed the process. Before letting you know how you can receive payment through perfect money, let me tell you that the entire process is very costly and you should only go with it if you don’t have any other options like PayPal, Payoneer etc. 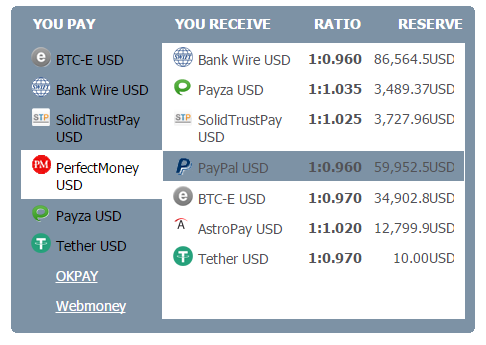 How to Receive Payment from Perfect Money to PayPal? I am considering here, receiving money in your PayPal account as the destination as you all are champ in the further process of withdrawing money from PayPal to your respective bank accounts. In both the steps, the network will charge some amount and then again PayPal and that’s why I said, it is very costly. With the above steps, you would be able to receive money in PayPal account through Perfect money and Rchange. I.e. this is the complete process of perfect money to PayPal money withdrawal. Now let me take you through each step and share how to receive payment through Perfect Money to PayPal. This is the first step to perfect money to PayPal processing. Creating account with Perfect money is a very easy task and can be done in a couple of minutes, but one thing I want to share here is, don’t ever use FAKE details as it may cause an issue. Also, here we are trying to get money in PayPal from Perfect Money but if you want to get in Bank Account then you will have to do perfect money account verification which is not possible without real proofs. To create Perfect Money account, just follow the below steps and get your perfect money account active. 1. 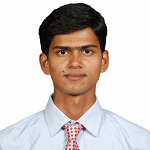 Visit this link and fill the required details. The fields are self-descriptive and you won’t have any issue filling out. 2. Select Individual and accept the T&C at the bottom of the form and click on Register Button. 3. 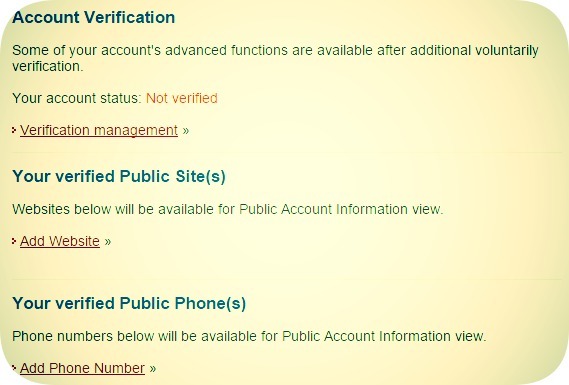 You will receive an email asking to verify the account. Please do so by clicking the link. • Address Verification- Can be done by uploading any utility bill like Gas/phone/water etc. I was not having on my name so I didn’t have address verified account. But don’t worry; it won’t affect our aim here. 6. The one with a $ sign is your account is your account number and will be used to receive payment from your client. Just send this account number starting with U to your client and ask to send the payment to your Perfect Money Account. 7. I did the same and received my payment. But this is not done yet. You have just received the payment but it will not available for withdrawal until you will accept it. This can be done just by clicking the link shown at the end of payment received. 8. Just click the link and it will ask for a confirmation code (your client will send you this code). Enter it and done with Perfect Money work. Now as you have your money in Perfect Money account, it’s time to get in PayPal account. For this, I took help of Rchange. • Here you will have to select the PayPal Id where you want payment and connect with your Perfect Monet account. • Select your Perfect Money account number where money is and authorize account. • Here you will have to select the amount you are willing to withdraw. Perfect Money charges 1.99% as the processing fee and so do the calculation. I had $74 and so I choose $73.5 for withdrawal. • Just click TRANSFER and done. 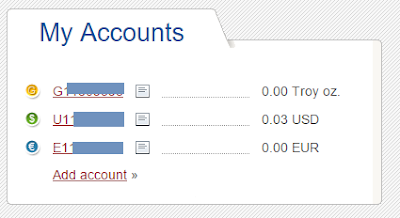 You will see a row in your Rchange account that they have received the payment and it is under processing. • Here again, Rchange will deduct your $2.5 as a processing fee and I received $71.5 in Rchange account. • Now after some time, you will get the money transferred to your PayPal account and you will receive a confirmation email for the same. • Again PayPal will deduct their fee (around 5%) and so finally I received around $68 for an amount of $75. So in the whole process, networks deducted around 9.2% of the amount but yeah I received my payment and it was a great learning experience as I came to know about different other Payment and Exchanger networks. From here I am sure you know how PayPal works and when you will get your money credited to your bank account. This was all about Hoe to receive payment from Perfect Money to PayPal. I hope if you need, you would be able to get payment from your clients from those locations where PayPal doesn’t work. If still you’re finding any issue, feel free to drop your query in a comment. Had you come to similar situation ever? What did you do to receive money?